Is Thucydides Helpful in Explaining Sino-US Relations? Is conflict exceedingly likely when a rising power approaches parity with an established power? Since Graham Allison coined the phrase a few years ago, few American discussions of the U.S.-China relationship go by without somebody bringing up the idea of “Thucydides’ Trap.” Even President Xi has adopted the phrase, urging the US and China to work together in avoiding it. What is suggested by this “trap” is the notion that conflict is exceedingly likely when a rising power approaches parity with an established power. In other words, the trap is shorthand for what Western political scientists call power transition theory. Modern expressions of this theory are found most notably in the work of A.F.K. Organski and Jacek Kugler and, separately, Robert Gilpin, who based his argument on a study of Thucydides’ account of the Peloponnesian war. That this notion is so often used to frame U.S.-China relations raises concerns not only about how we derive and apply lessons from history, but also about the manner in which political science concepts are employed by analysts, commentators, and policymakers. 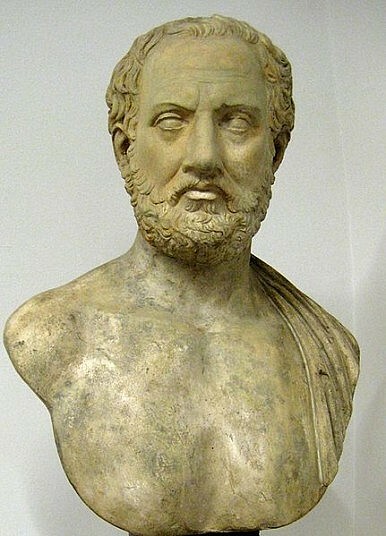 In testimony to the US Senate Armed Services Committee last month, Allison reported that according to his findings, “In 12 of 16 cases in the past 500 years when a rising power challenged a ruling power, the outcome was war.” He then goes on to cite Thucydides’ assessment that the rise of Athens instilled fear in the dominant Spartans, which pushed them to war. But this account is in fact one of two distinct (though not mutually exclusive) explanations for why power transitions result in conflict. The other, promoted by Organski and Kugler, is more oriented around the rising power’s dissatisfaction with the status-quo and its inability to enjoy the fruits of a system built around the established power. The fact that both of these patterns might be suggested by the Thucydides trap idea gives cause for both the rising power and the established power to fear the other. As Michael Swaine of the Carnegie Endowment recently said, “bad historical analogies” and “faulty theories” on this front have led some parties in both China and the United States to promote more aggressive stances towards the other. Before allowing an idea like power transition theory to become a framing concept for U.S.-China relations, numerous caveats must be acknowledged. From a quantitative perspective, the historical record tells us different things about power transitions depending on how one quantifies power, and it must be noted that some studies find no such phenomenon as a power transition conflict at all (the scholar Richard Ned Lebow is especially critical of the idea). Moreover, power transition theorists tend find the majority of their examples in conflicts within modern European history, an era full of the glorification of militarism and an explicitly institutionalized realpolitik. This in turn highlights how many of the conflicts that some attribute to shifts in relative power can be explained in numerous ways. The Second World War, for example, appears on most lists of power transition conflicts, but to envision the competition between Nazi Germany and Great Britain as essentially being a question of differential economic growth is to ignore other obviously significant factors. More productive than quibbling over the historical record is making an assessment of the assumptions that underpin the idea of the Thucydides trap. These assumptions are that established powers are capable of significantly imposing their preferences on the international system, that they do this in a way that primarily benefits themselves and to the detriment of other states, and that this distribution of goods is either so intolerable to the rising power or so beneficial to the established power that one or both is willing to engage in conflict over it. Looking at the elements of this trap in this fashion can both give cause for cautious optimism and suggest ways to avoid it. While the United States has certainly exercised considerable influence in creating the current world order and derives many benefits from it, it falls short of exercising the sort of dominance that is presupposed by power transition theory. The contemporary world order is neither zero-sum in its distribution of goods nor does the most powerful state unilaterally dictate the rules of the road. Many political scientists have argued that the ability of great powers to impose their preferences will only decline further in the future. The institutions associated with the U.S.-led world order need to adjust to new realities and become more inclusive, but they are not in principle mere instruments of American power. As G. John Ikenberry suggests, these institutions might continue to provide a stable order in a more inclusive manner while becoming “less American.” If such a transformation could come about, it would further diminish the incentive for rising powers to coercively challenge this order or create parallel orders–thus weakening the “trap” even more. This process would no doubt be difficult, but thinking in these terms removes the sense urgency and mutual insecurity implied by the narrative of power transitions and traps. Obvious short-term steps for the United States to take towards affirming a more genuinely inclusive and rules-based order should include ratifying UNCLOS and approving the IMF quota reforms. President Obama has already requested that Congress act on both of these issues. In fairness to Graham Allison, the “Thucydides trap” coinage was not meant to engender sense of fatalism, but merely to impress upon American audiences the great geopolitical significance of China’s rise. However, without elaborating upon the mechanisms that allegedly facilitate it—the particular clashes of interests likely to occur between different kinds of powers—the idea of the trap only serves to reinforce an abstract sense of competitiveness in international relations that is divorced from the actual motivations of real states. Everyone studying the U.S.-China relationship today should be alive not only to the particularities of U.S. and Chinese interests, but also to ongoing and potential transformations in the character of international politics. As a heuristic device, the “Thucydides trap” doesn’t offer any particular help on either count. Alek Chance is the coordinator of the China-US Cooperation Program at Institute for China-America Studies. This article has previously been published on the Institute for China-America Studies blog.